Photos provided by Barb Heiss, Karl Spisak, Brian Nichols, Jim and Marian Clatterbaugh, Jeff Barnes, Larry Fultz, Stephen and Rosanne Thornton, Dottie Troutman and Phil Smoot. Tor Johnson lives again! Don Reese in the make-up presents flowers to Ed Wood actress Dolores Fuller. Make-up by Ron Chamberlain. 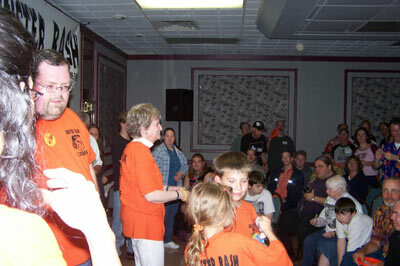 The Kesslers at Monster Bash. Where's the Raid?! Preping for an event in the Movie Room. 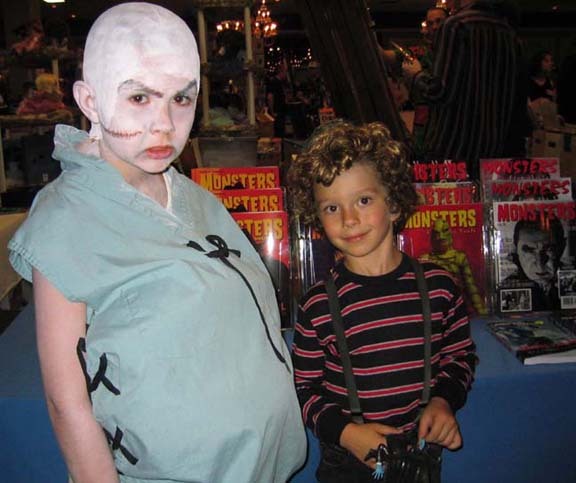 Mini-Tor and Donnie (The Martins) at Monster Bash. 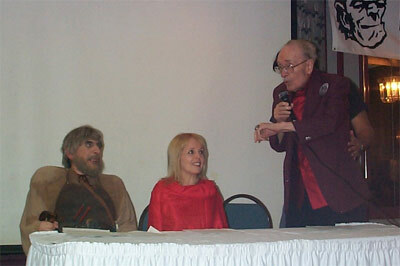 Tor (Don Reese) and Dr. Vornoff (Mike Thomas) is the Bash lobby. 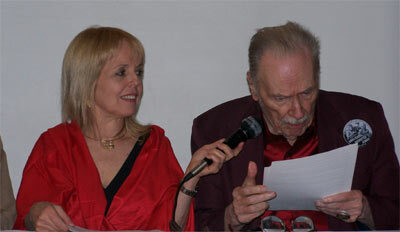 Susan Gordon and an incredulous Forry Ackerman in a Monster Bash version of "To Tell the Truth" hosted by Richard Valley. Forry is out of control on stage at Monster Bash! 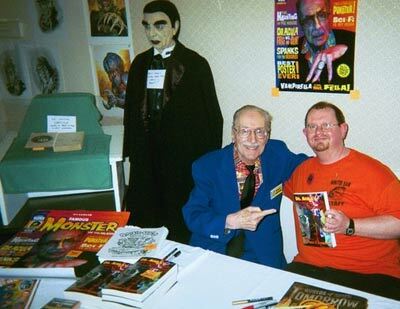 Forrest J Ackerman points out Monster Bash Magazine Research Editor Jeffrey Barnes. 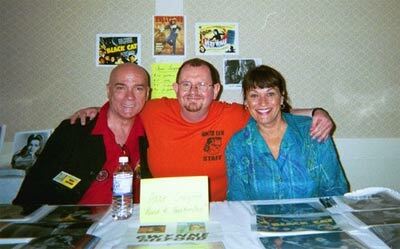 Jeff Barnes (center) with Anne Gwynne's kids Greg and Gwynne. Sylvia High knows what evil lurks behind the cloak of The Shadow! 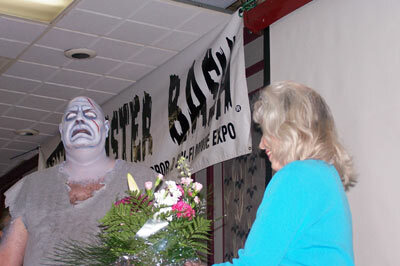 Miss Shock meets Jeffrey Barnes...but Rondo Hatton is jealous! Look out! 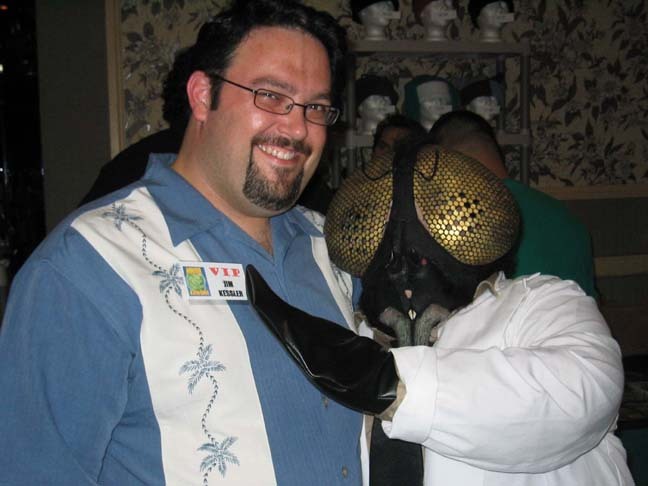 Comedian Don Reese was bugged at the Bash. "Time for go to Bash," Tor says as Bela points the way. Don Reese and Michael Thomas. 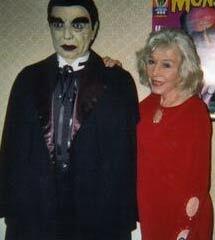 Dolores Fuler with the cape that Bela Lugosi wore in PLAN NINE FROM OUTER SPACE. 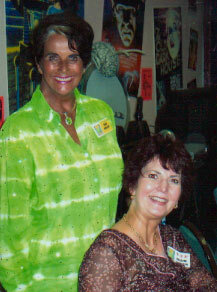 Bash attendee Rosanne Thornton and Sara Karloff. 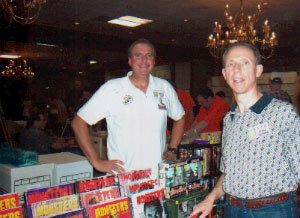 Jim Clatterbaugh of MONSTERS FROM THE VAULT and Steve Thornton hang out in the Monster Bash Dealer Den. 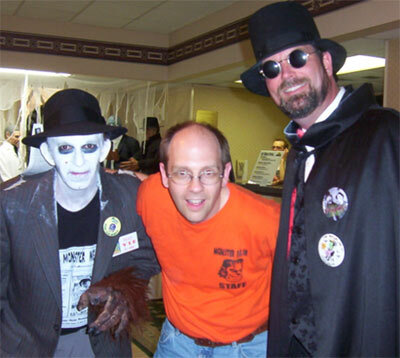 At Monster Bash, Ron Adams is flanked by TV personalities Fred Ascare (Tim Troutman) and Doktor Tom B. Stone (Rodney Budell). 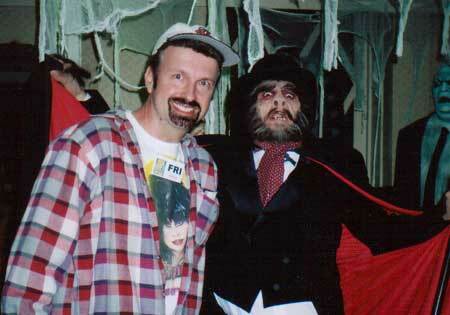 Bob Simmons from Youngstown, Ohio meets Mr. Hyde (Bill Edwards)! 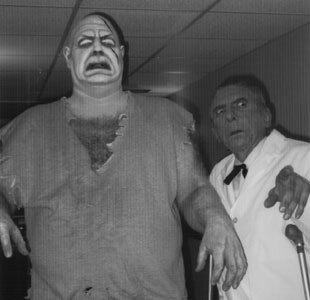 Bill is in make-up by Ron Chamberlain. 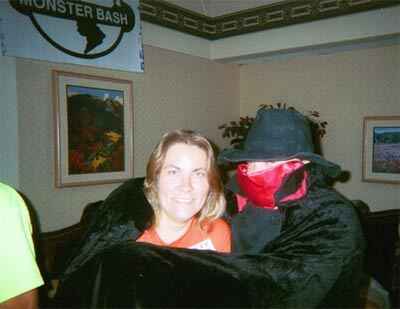 More Photos from Monster Bash 2005 - CLICK HERE!